Habitats which offer the appropriate conditions where bats can find and hunt their insect prey are essential for maintaining our bat populations. Bats have benefited from strict legal protection, direct conservation action and public awareness raising. Habitat creation and enhanced habitat management can provide the right conditions to help the recovery of bat populations. Although the numbers of many species are now either stable or increasing, significant increases in bat numbers are needed for recovery to previous levels. *Soprano pipistrelle, brown long-eared, and noctule bats are priority species in the UK BAP 2007 and Section 41 species under the NERC Act (2006), and remain national priority species for Biodiversity 2020. A description of bat species can be found on the Bat Conservation Trust website. All species of bat and breeding or resting sites (roosts) are protected under Regulation 41 of The Conservation of Habitats and Species Regulations 2010 and Section 9 of the Wildlife and Countryside Act 1981. It is an offence for anyone intentionally to kill, injure or handle a bat, to possess a bat (live or dead), disturb a roosting bat, or sell or offer a bat for sale without a licence; or to damage, destroy or obstruct access to any place used by bats for shelter, whether present or not. Bats flying at dusk, over gardens, hedgerows, woodland and fields, catching insects on the wing for food, are something special. Bat numbers plummeted across the country during the later 20th century and still need to recover. General information: Bats are intelligent, social mammals that can live for up to 30 years. Bats found in the UK sleep in the day and feed during the night, flying to find and catch their insect prey. All UK bats are relatively small, ranging from our smallest, pipestrelle, which weighs around 5 gram and has a wing-span of 20 centimetres to the 40 gram noctule with a 40 centimetre wingspan. Roosts. In summer, female bats form maternity roosts to have their young; in winter, bats use hibernation roosts. Bats usually have one young a year. They spend the day in their roosts, which can be found in a variety of buildings, under bridges, in tunnels or shafts, or in holes in trees, depending on the species. Bats tend to return to the same sites each year. Most summer colonies disperse in September and October, once the young bats are old enough to fly, and many bats hibernate at an alternative site from November to April. All bat roosts are protected by law, even during the months when they are unoccupied. Feeding. Different species have different feeding behaviours. They may catch insects in flight, or pick them off the surface of open water, or from foliage or the ground. In summer, bats emerge from their roosts at dusk to feed. The distances travelled to feeding sites very considerably, both within and between species. While some species feed close to their roost site, others fly long distances. Bats frequently return to the same foraging sites, sometimes visiting the same site at the same time each night. However, a large number of feeding areas are needed throughout the year in response to insect availability. Bats eat vast numbers of insects each night in summer, many pests. Pipistrelles each consume up to 3000 midges or other small flies a night. Pipistrelle numbers dropped by an estimated 73% from 1978 to 1993. Habitats: Bats are found in a range of habitats including urban areas, farmland and woodland, and near water. Bats rely on an abundant supply of flying insects and sheltered areas in which to catch them. Bats also require safe roosting sites in which to raise their young and to spend the winter in hibernation. Bats have adapted to roost in built environments, including barns, houses -even modern ones, bridges, tunnels, shafts and culverts, as well as trees. Where broad-leaved woodland was at least 20% of the landscape, Bat Conservation Trust research has shown that there were more roosts. 90% of roosts of common and soprano pipistrelle, Natterer’s and brown long-eared bats were near a woodland patch. Hedgerows and other linear features with trees provide sheltered corridors for bats to travel along. Common pipistrelle bats make extensive use of hedgerows; soprano pipistrelle however only make similar use of hedgerows with trees. Bats are sensitive to changes affecting their insect prey, as well as damage to or loss of their roosting sites and sheltered routes from area to area. Changes in land use, drainage, pesticides and farming can result in loss of insect-rich habitats, wetlands and meadows. Weather can affect bats’ hibernation and breeding success, and food availability. Roost sites can be lost by building works, and by cutting back trees. The loss of linear landscape features such as hedgerows, restricts routes from roosts to feeding areas. You can make sure that your own property and land provides the right conditions for bats. Provide access to roof spaces and other built features and preserve old trees with hollows and holes for roosts. Bats also need sheltered hedgerow or shrub/tree lines to feed and travel along. Our gardens can be an important source of food, water and shelter. Putting up bat boxes can help but above all if you have roosting bats , do not disturb them. The Bat Conservation Trust gives further information on its website: encouraging bats. Bat sightings. We are interested in hearing about sightings of bats – where, when and what they were doing: feeding over your garden or school grounds, or over a hedgerow, woodland, wetland or water course; resting, hibernating or on the move; even if dead. Tell us and we will pass your information on to the Records Centre and the South Yorkshire Bat Group. The more information collected about our bats, the greater the chance of discovering how we can help increase their numbers. old trees with hollows, holes and crevices for roosts. if you have roosting bats , do not disturb them. This includes homeowners, schools, public bodies, private bodies, farmers and land agents. Follow best practice in managing their woodlands, hedgerows, building to support bats. Barnsley Council requires bat surveys for planning applications when necessary to inform its decisions. It also sets conditions to ensure that bats are protected and that habitats for bats are maintained and potentially enhanced. Promote maintenance and development of appropriate habitats for bats where possible. Natural England requires and provides licences for development work when bats or their roosts are present. Police wildlife crime officers investigate offences involving bats or bat roosts, and can take people to court. South Yorkshire Bat Group and the Bat Conservation Trust are a source of advice and information. 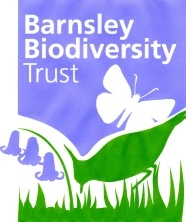 Local naturalists, groups and volunteers can help provide records to the Barnsley Biological Record centre of bats that are supported by them. Analysis of these records can help with conservation. Raise awareness of the legal protection for bats and the need to provide suitable habitats and places for roosts and for foraging. Ensure bats are protected through the planning process existing valuable habitats from threats, including building development, loss of tree cover, etc. Habitat enhancement in wetlands, woodlands and built environment. Encourage public involvement in bat conservation and encourage property owners to have bat surveys, put up bat boxes and improve conditions for bats. Expand the numbers of guided walks when more volunteers are available. Secure the Daubenton’s bat roost bridge at east end of RSPB Old Moor. Although bats are found across the Barnsley area, to help their numbers increase, we need to know more about their numbers and where they roost, travel and feed. We do not have enough information on the distribution of bats in Barnsley, their feeding areas, and their roosts for raising young and for hibernating to help us increase their numbers. We are interested in hearing about sightings of bats, wherever they are. You can help us by looking out for bats at dusk or dawn in the summer or autumn, reporting the numbers seen near where you live or further afield. Look out for bats coming from roosts or returning to them, look out for them ‘swarming’ at roost entrances. Remember not to disturb them. The Bat Conservation Trust encourages people who have bats roosting on their property each year, or who visit an area where there is a roost, to help monitor the UK's bat populations by taking part in a colony count. All you need to do is stand outside the roost on two evenings in June and count the bats as they emerge.